The most common chronic disease in people over 40 is arthritis, which affects more than 40 million Americans. Medical professionals believe there are more than 100 classifications of arthritis. 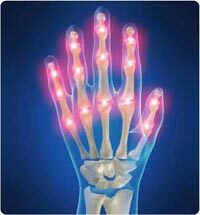 All of these deal with one main symptom and that is inflammation on the joints. So, what can you do to relieve the symptoms of arthritis? There are a lot of options for this problem. Salmon is known to have a rich source of healthy fat that is called Omega 3 which is also good for the heart and is perfect in aiding arthritis. It also contains Vitamin C, Vitamin D, and folate. Green tea is a good drink that contains lots of antioxidants. It has a natural anti-inflammatory action that is good in remedying the pain arthritis causes. It also prevents the occurrence of heart disease and certain cancers. Bananas are very affordable and an easy to find food that fights against arthritis. It contains Vitamin B6 and Vitamin C which are good a combination in combating this disorder. Potassium which is good for the electrical activity of our heart and folate are also present. Lastly, Mangosteen, a fruit that is probably hard to seek is also considered as one of the best natural cures for arthritis. This fruit contains xanthone that is capable of diminishing inflammations. The foods mentioned above are not only good in fighting arthritis, but are also good options for losing weight. Now, arthritis and heavy weight are something you must take in consideration. Since our joints are the ones that bear the weight of our body and at the same time the joints also are the sites attacked by arthritis, it is important for us to watch our weight so that we may not add burden into our joints. In this way, dealing with arthritis pain is somehow tolerable. If you are one of those people who are after a more traditional approach in relieving arthritis, then you might want to go for herbal pain relief to treat this condition. Speaking of herbs, there are a lot out there. One of these herbs is what we call white willow. White willow is a natural pain reliever. Unlike aspirin, it does not have gastric side effects. It is also good in reducing joint inflammation. Another herb is Turmeric which provides herbal pain relief because of its anti-inflammatory characteristic. Finally, cayenne pepper has a very active ingredient called capsaicin that is efficient in relieving pain caused by arthritis. Arthritis pain relief creams are good, because you can use them when you need it. It is something you can rub onto the painful site whenever you need to. You will experience almost instant relief. Selecting the best arthritis pain relief cream might be difficult because of the many different ones that are available in the market. Before you purchase one, you must consider first the type of arthritis you have because not all will work for you. Over the counter creams will probably benefit you if you are suffering mild to moderate arthritis. Flexcin cream reviews have been relatively positive in this respect. If you are have moderate to severe arthritis, it is still best to consult your physician and ask what kind of cream that will best work on you. Very good article, I think people will benefit if they eat the right food. But it is good to supplement using a pain relief cream\gel if needed.